Chesapeake Geosystems, Inc. can provide installation services for residential water wells in Maryland. We also serve surround states including Washington D.C., Northern Virginia, Southern Pennsylvania and many more. Our crews have the necessary skills, training and experience to provide an excellent service to our clients. 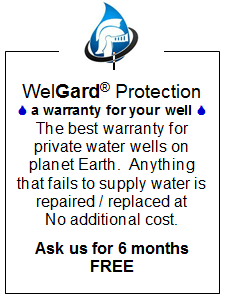 We are a certified ground water contractor by National Ground Water Association (NGWA). Chesapeake Geosystems is a geothermal installer that serves all of Maryland, including but not limited to Annapolis and Anne Arundel County, Baltimore City and County, Carroll County, Eastern Shore of Maryland, Frederick County, Howard County, Montgomery County, Northern Virginia, Prince George County, Southeast Pennsylvania, Southern Maryland, Western Maryland &amp; Washington, D.C.